Without the ceasefire civilians who remain in the Donetsk and Lugansk regions, may die due to lack of livelihood. This was stated by Deputy Chief of Staff President concerning International Relations Valery Chaly at a briefing on December 5, commenting announced December 9, the “Day of Silence”, reports Ukrainian Pravda. “I do not pin their hopes on a particular day, and that come to their senses those who simply ignore the number of victims in Donetsk, Luhansk region. Come to their senses, those who can not, after the fake elections (November 2) generally does ensure the existence of citizens there”, – he said. “There is a great threat of a humanitarian disaster. Today, in fact, no cease-fire we just lose our fellow citizens in the Donetsk and Lugansk regions. During the winter …” – said Chaly. “Ukraine is ready, Kiev is ready to provide humanitarian aid, but these mercenaries do not allow there to deliver. 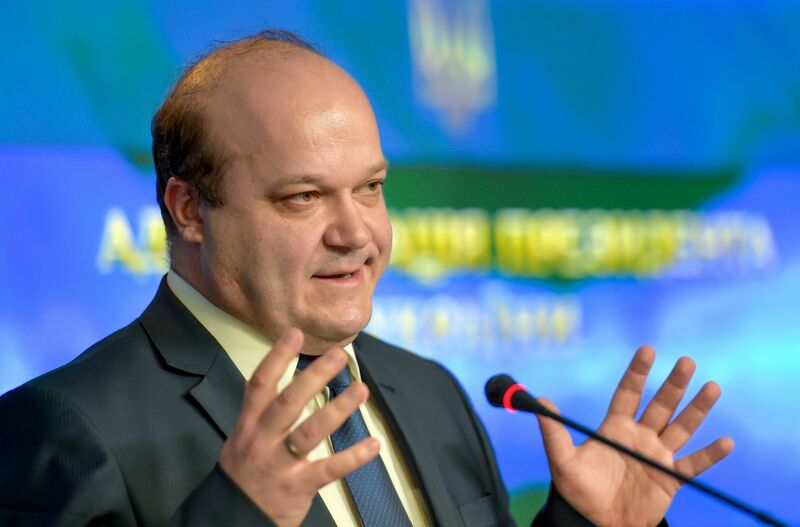 As previously robbed financial resources, the same Collector cars, destroyed immediately Treasury, banks – just not now make it possible to deliver humanitarian aid”, – said Chaly. “So I have high hopes that will not just an attempt, but a real day, begins with the Day of Silence removal equipment”, – he said. According to Chaly, this day “is an essential mechanism in the breeding of heavy equipment and artillery in the distance specified – the coordinates of the line specified in the memorandum of 19 September – and, consequently, how far will be assigned to each system of artillery or mortar fire, missile systems”. “They should be allocated to such a distance that is unattainable for the defeat”, – said the official. “So I hope and have high hopes at the beginning of December 9 this process,” – assured Chaly. He also expressed readiness of Kiev for a regular trilateral meeting of the contact group in Minsk. No Replies to "Without the ceasefire residents of Donbass will die of hunger and cold"